The park’s main building – constructed in the shape of a butterfly – has now become a prominent feature on the city’s night skyline. 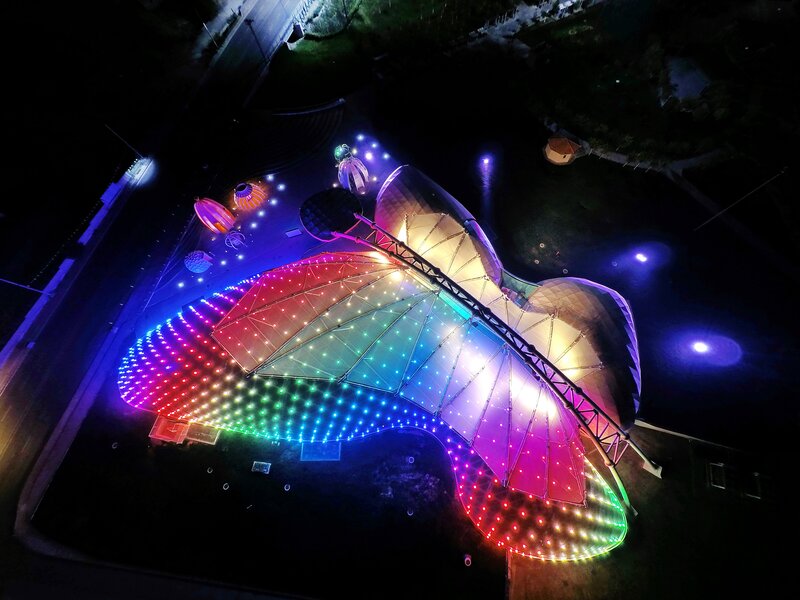 Museum bosses said they chose Philips’ dynamic lighting so they could mimic the myriad colors and changing life cycle of the butterflies on display. The Philips LED system also allows the park to drastically reduce its environmental impact and energy bill as it is far more efficient than conventional lighting.